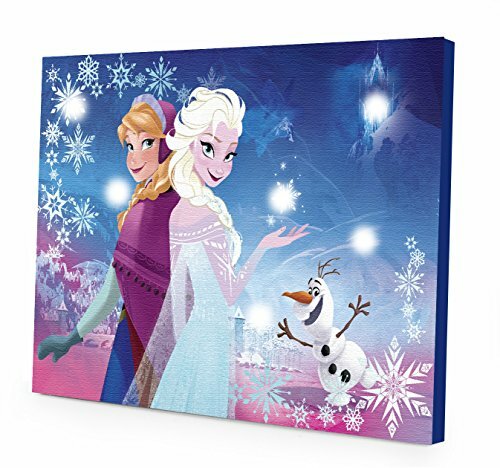 Hang the Disney Frozen LED Canvas Wall Art in your child's bedroom to display a colorful print of your child's favorite Disney Frozen princesses, Anna and Elsa. The LED Lights will light up your child's room to create a beautiful illusion on the artwork. The lights emit a soft glow that can also be used as a night light. Size: 15.75" W X 11.5" H.